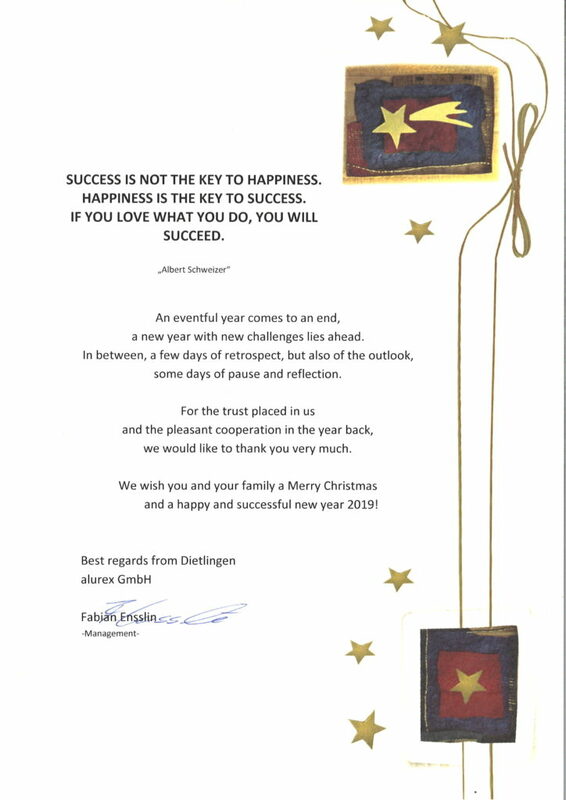 Artikel: "Merry Christmas and a Happy New Year!" We wish all alurex business partners contemplative and relaxing Christmas holidays and a great but above all a healthy start into the new year 2019! We are already looking forward to manage the new challenges in the New Year together with you! This entry was posted on Monday, December 17th, 2018 at PM 04:00 and is filed under News. You can follow any responses to this entry through the RSS 2.0 feed. Both comments and pings are currently closed.